Apple made a splash on with its myriad announcements at the 2014 Worldwide Developers Conference, and last week, we highlighted how startups can take advantage of iOS 8. But improvements to iOS and OS X aren’t all just about developers – users have much to be excited about, too. Many of Apple’s new features, as you may have noticed, strongly resemble those of leading third-party apps. Some call it stealing, but as users, this “borrowing” may mean a smoother mobile experience and cause for celebration. After all, imitation is the best form of flattery, and in the case of Apple products, more reason to look forward to iOS 8’s rollout in September. Take a look below at top apps that iOS 8 could potentially rival. 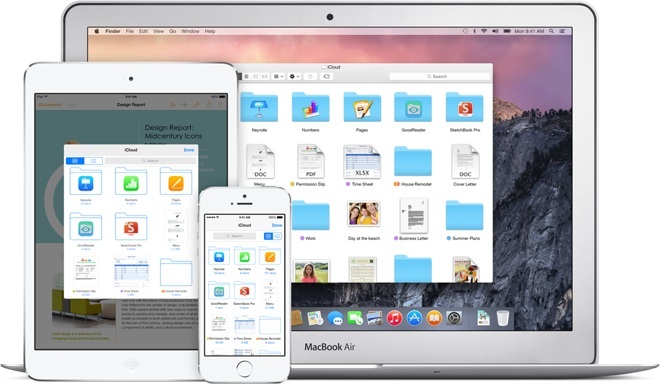 Much like Dropbox, the new iCloud Drive will allow you to store and sync documents across iOS, OS X and Windows. Access everything you store in iCloud through Finder, including files from mobile apps, each of whch get their own folder within the interface. Remember when Steve Jobs vowed to kill Dropbox back in November? It looks like iCloud Drive is Apple’s first attempt at doing just that. But will Dropbox and Google Drive loyalists actually convert? Now that Apple’s prices are comparable to the existing players in the cloud storage space – 5 GB is free, 20 GB for $0.99 per month and 200 GB for $3.99 – only time will tell. iOS 8’s built-in messenger will offer much, much more. New features include the ability to remove yourself from or indicate Do Not Disturb on busy group threads. Just like WhatsApp, Messages will let users push-to-record audio and video, share their location, send multiple images and videos at a time and view attachments, all within the native app. Apple will also let users send multimedia messages that self-destruct after a specified amount of time. This is perhaps a move into Snapchat territory, but also a useful memory saving feature. 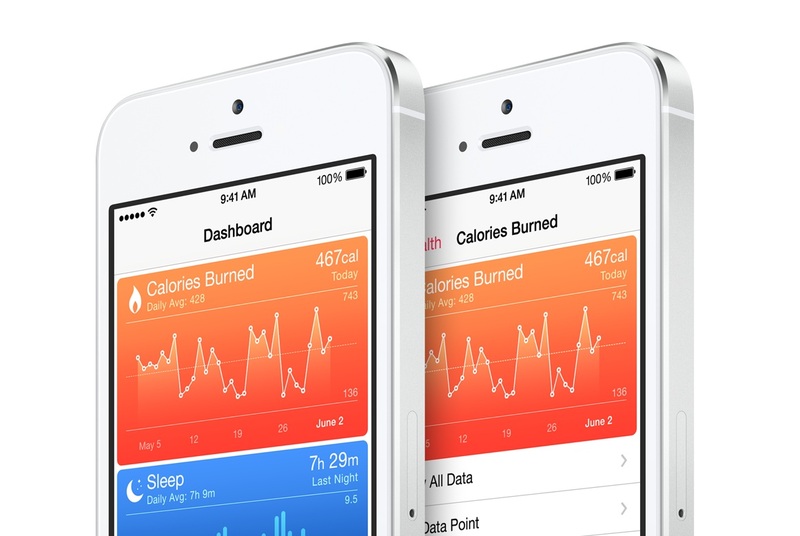 The new HealthKit, to appear as “Health” on the iPhone homescreen, will provide a central dashboard for monitoring key health metrics on a daily basis and assessing long term fitness trends. Apple is working to integrate with third-party organizations like Nike and Mayo Clinic so that user fitness data can live in one place. It’s been surmised that HealthKit will work in conjunction with Apple’s rumored, though still unannounced, smartwatch. With Continuity, part of the entire iOS and OS X software ecosystem, you can make and receive calls with WiFi to any device for free, which is convenient if you have spotty cell reception at home or work. Google’s mobile platform isn’t exactly its own app, but parts of iOS 8 very closely mirror features that Android users have long enjoyed. Third-party keyboards. iOS users know too well the woes – and hilarity – of the iPhone’s auto-correct function, but can rejoice now that Apple will enable third-party keyboards. For years, Android has allowed keyboard apps like Swype, which allows you to communicate more easily and accurately using a continuous swipe gesture across the keys with one hand, predicting the words you’re trying to type. The stock iOS keyboard will also get an upgrade: Apple is adding a row of word predictions above the keyboard, much like the predictive feature native to Android. Widgets. Android has long dominated the mobile widget space, allowing users to customize their homescreens with small “snapshots” of app data like breaking news and sports scores. Similarly, iOS 8 will let you add widgets to the Notification Center. Video demos on the App Store. We highlighted this in our post about how startups can leverage iOS 8 in their products: In short, app makers can now embed videos (in addition to screenshots), on their App Store pages, so you can now preview apps in action before committing to download. Actionable notifications. You’ll now be able to complete quickly complete tasks like responding to a text, accepting a calendar invite or “liking” a Facebook post you’re tagged in, straight from the Notification Center without having to open the app itself. Interactive notifications like these have been available on some versions of Android since 2012. → Is Yo Evidence of a Bubble? Maybe not.